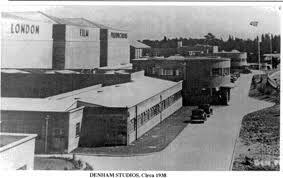 For some reason that I cannot rationalise I love Denham Film Studios – probably because as a child we would holiday down in St.Albans and would travel to Windsor on many occasions, always in my Dad’s car, and we would pass by these studios. Films were very much of interest to us all at the time and we sort of viewed these studios as a magic place which in a way it was. Sadly though by the time of our journeys everything was coming to an end there – in fact the very last film was made in the summer of 1951. 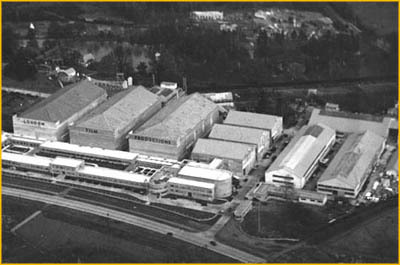 The Studios were built in 1936 and the founder Alexander Korda planned to outsize anything Hollywood could offer and he nearly pulled it off. The Second World War came at the wrong time for this venture though. Situated on a 165 acre site near to the village of Denham in Buckinghamshire it was at the time the largest facility of its kind in the UK and Europe. In the picture above you can see behind the River Colne and to the left the Denham lake. These areas proved ideal locations for such films as The History of Mr. Polly and Treasure Island. Ken Annakin directed the very last film made at Denham in the summer of 1951. In his autobiography he writes ‘ I drove through the gates of Denham Studios, gazing in awe at the four large sound stages which had been built by Sir Alexander Korda, for his great series of British movies from The Private Lives of Henry VIII (Charles Laughton) through The Thief of Baghdad (Conrad Veidt and Sabu) to Things to Come (H.G.Wells). Two of the stages were over 200 ft long and both would be filled by enormous sets for his film. During this time Princess Elizabeth our future Queen visited Denham and watched some of the scenes being filmed and was taken round the outside sets by Walt Disney who came over to England during that summer to oversee the filming. 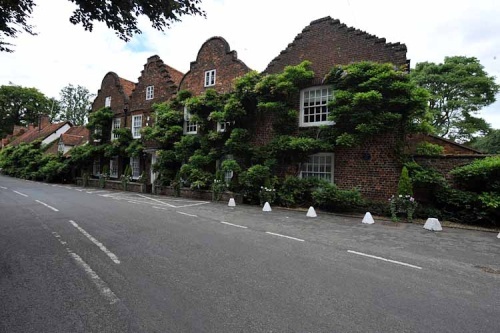 Below is the house in Denham Village which was owned by Alexander Korda and his wife Merle Oberon and which was later purchased by John Mills and his wife. 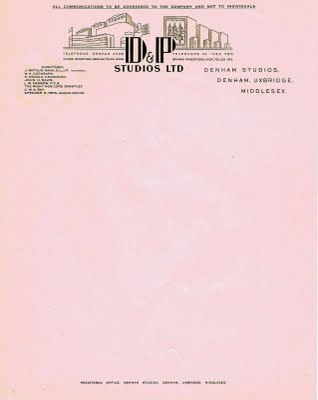 The studios were known by various names during their lifetime including London Film Studios, the home of Korda’s London Films and later the D&P Studios after the merger with Pinewood which is just up the road. A place that had been a dream factory is now virtually gone except for the Rank factory on the front. The vast majority of it was demolished around 1976. That would have been a very sad time for film fans the world over. when it comes to building studios of this size at that time – or indeed any other time. We never saw his like again in the film industry. Some people may see him as foolhardy but then the same might have been said of Walt Disney. The film world needed these people of vision.